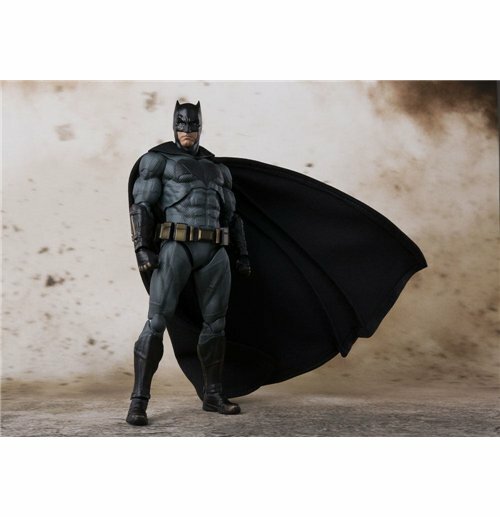 The ever-popular Batman from JUSTICE LEAGUE joins the S.H.Figuarts series of ultra high quality figures! Utilizes digital coloring and incorporates a bendable cloth cape! The highly posable and expressive 150mm tall figure includes 5 pairs of optional hands (L/R), a batarang, grapnel gun and a grapnel gun's part.